As winter sun holiday destinations go, the Canary Islands are one of the more well known places in the world for sun worshippers and grey sky dwelling northern europeans to head south to for the winter. What is less well known is the impact that the islands’ volcanic past have in store for the East Coast of the US, if volcanologists’ and oceanographers’ predictions of a mega tsunami are realised. Over the last few weeks, a rumbling volcanic eruption and earthquakes in the seas around the island of El Hierro in the Canaries have re-ignited the debate on the the Mega Tsunami predicted to hit the Eastern Seaboard of the US. The debate centres on a theory that focuses on a tsunami being caused caused after a large chunk of volcanic rock falls into the sea from the Cumbre Vieja volcano on the island of La Palma. 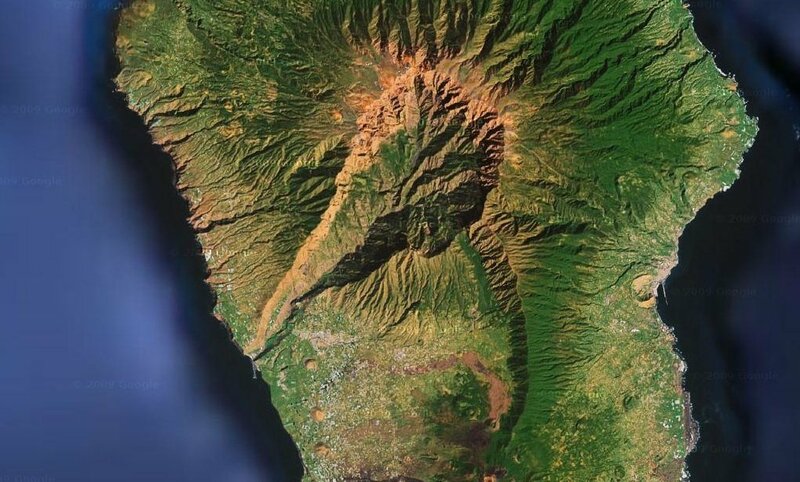 Part of this volcano is highly unstable and could collapse into the ocean at any time. If this were to happen 20,000 cubic meters of rock could fall into open sea water and, channelled by the seabed geology, create a mega wave (Tsunami) travelling at 500mph in all directions. The path of destruction caused by the wave would be as follows. African nations of the western Sahara would be hit first by waves of 330ft, followed by southern Europe, then northern France, Ireland, and the UK. The eastern seaboard of the United States would be hit within 7 to 8 hours of the event, causing widespread devastation. 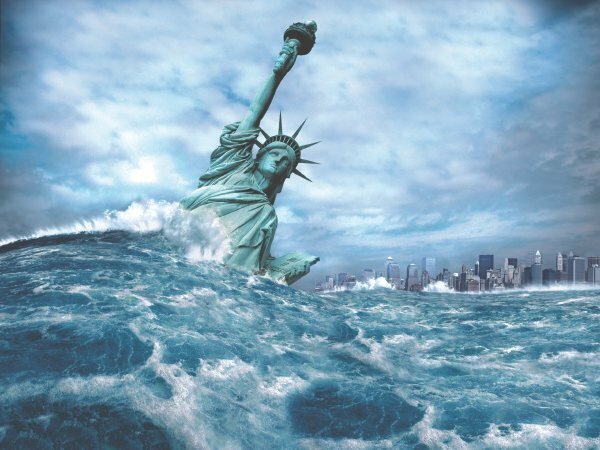 A wave making landfall at a height of up to 200ft would hit the metropolises of Boston and New York, then the Tsunami would travel south along the coast, taking out beachside communities all the way to Miami and the Florida Keys. According to Dr Simon Day, of the Benfield Greig Hazards Research Centre (University Collage London, UK), its not a question of if this happens, but when! However, if you live in the suggested path of this mega tsunami, don’t start moving just yet! Many other scientists believe that these events are highly unlikely, as the rock that could cause such an event is far more likely to break up into smaller chunks, and be dispersed over a considerably longer timeframe than it would take to cause this Tsunami. I’ll stay away from the beach that day. Is their any place on earth safe enough to live? How bout the desserts? Any high mountains liveable? How bout the FEDERAL RESEARVE FAMILIES think they might wana help out or leave us to the tsunami? We kept getting emails from customers/distributors on the east coast asking if everything was o.k., and it most certainly was here in Hood Canal. In the morning on the way to work the news was all about the tsunami threat on the U.S. coast, and I didn’t realize how devastating the waves were in Japan until I saw the t.v. footage in the evening. Terrifying. It’d be interesting to see some analysis about the possibility of tsunami in Puget Sound, from an earthquake in the Straits, for instance. I am really curious about when this mega tsunami will happen..
how it will happen but when it will happen . I live on the canary islands. If that would happend, how long time do i got nd where can u go? A safe place? God is in control, he wants us to obey, how many of us do? He is not indifferent, he is slow to anger but will not allow us to think of him only as a peace loving, forgiving father, we will be disciplined, it’s just a matter of time. Don’t relax, repent! Radiation on the west coast,Tsunami on the east coast. Sounds like someone is getting ready to make a land grab.